a person could become an animal if he wanted to and an animal could become a human being. and sometimes animals, and there was no difference. 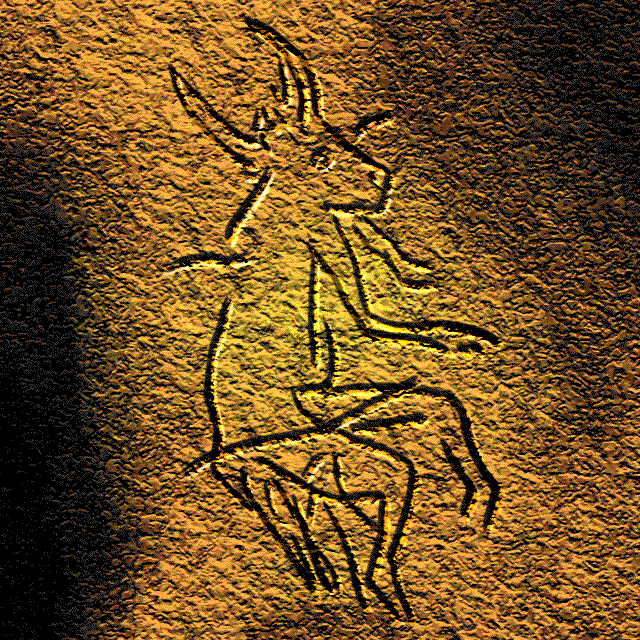 Picture of a half-animal half-human in a Paleolithic cave painting in Dordogne, France. —Translated from the Inuit by poet Edward Field. The Magic Words tradition also reminds us of the power of intention through words. But it is not enough to just ask for what we want. We must ask impeccably. When we are both impeccable with our word and we speak what we want or need, we very often bring those wishes/hopes/desires/goals into fulfillment. This Inuit tradition also reminds us, people and animals were one and the same. We spoke the same language. What does that mean in terms of articulating your goals and intentions? In the Shamanic tradition of shapeshifting, the dissolution of our identity on this plane into the spirit world and back again offers us an opportunity for perspective, for connection, and for understanding that common symbolic language. When we embark on shamanic journeys, we are re-remembering our forgotten language, our animal ancestry. We might ask, in terms of how to be impeccable with our words, WWSD? Or, What Would Spirit Do? What Would Jaguar Do? What Would Wolf Say? When we embark on a shamanic journey, and spirit speaks to us, we are privileged to be able to reflect upon and reconsider our intentions. We are privileged to remember that words are magic. It is up to us to choose how to best be impeccable with our words. This entry was posted in General and tagged animals, inuit, Inuit shamanic tradition, shaman, Shamanic tradition. Bookmark the permalink.